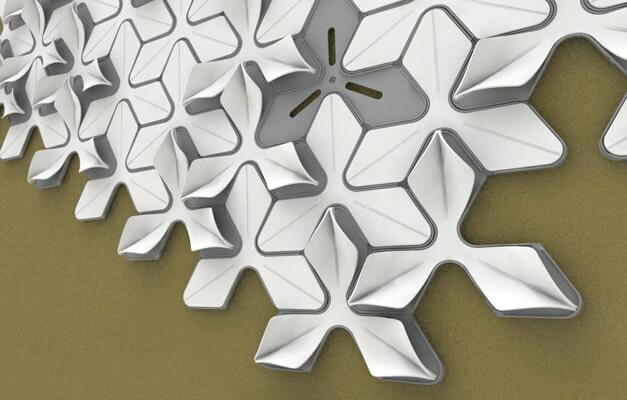 Wovin were looking to develop a new and different wall covering product for interior spaces. They supplied Melbourne designer Adam Cornish with a brief, and here is what he delivered. Foliar is an innovative concept that invites the user to interact with the product and subsequently the space, through the flexible and tactile Leaf panel.